WSU looks to continue the Pac-12 success from the previous week heading into the Arizona road trip, after defeating No. 25 Utah, and No. 23 Colorado at home. The Cougars also remain a perfect 5-0 overall while playing inside Bohler Gym this season. Washington State continues to find success defensively this season, ranking fourth in the Pac-12 in opponent hitting percentage (.179). 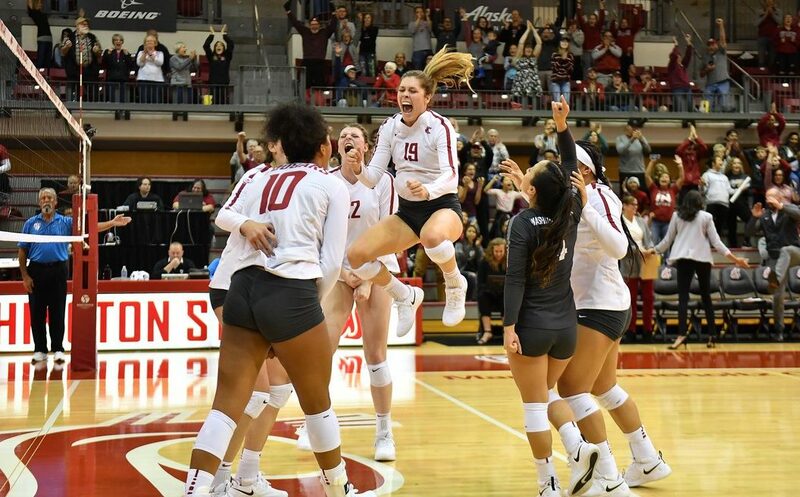 Washington State Volleyball checks in once again, for the fourth straight week, at the number 22 spot in the week six AVCA Coaches Poll, earning 312 overall points. Fellow Pac-12 members that earned top 25 spots as well include; Stanford (2), USC (12), Washington (15), UCLA (17), Oregon (20) , Arizona (21), and Utah (24). 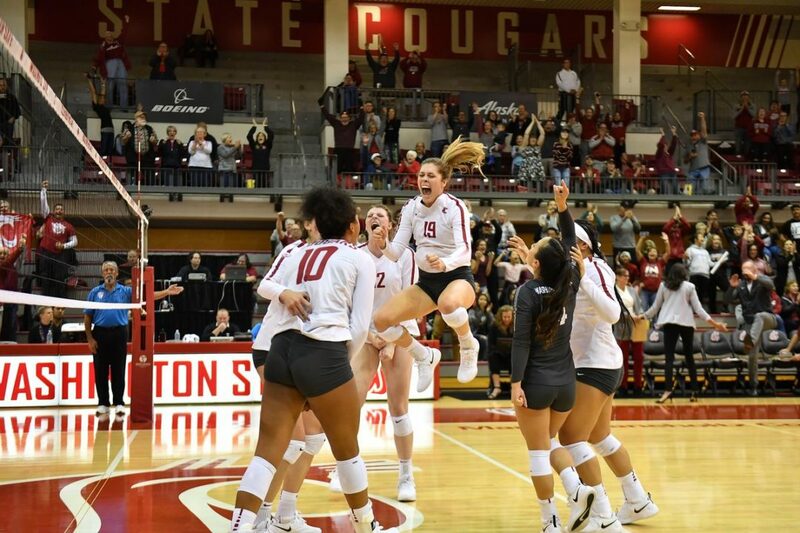 The Cougars earned a ranking of number 17 in the first RPI rankings of the 2018 season, posting an 11-3 record, along with a 2-2 Pac-12 record to enter the month of October. WSU’s only losses this season have been against East Tennessee State, and currently ranked Pac-12 opponents Washington, and Oregon. The Cougs are also undefeated (5-0) at home inside Bohler Gym and look to keep that home advantage going in mid-October. Junior setter Ashley Brown posted another great outing, totaling 57 assists during the four set victory at home against No. 23 Colorado, beating her previous best of 55 overall. Brown currently ranks fifth in the Pac-12 in assists per set at 10.48, and fourth overall in the conference in total assists with 587 on the year. The junior libero made the jump once again, rising in the all-time ranks of WSU Volleyball in career digs as Dirige is currently third overall entering the month of October. Alexis has now totaled 1,285 digs, which after recording 34 digs in two matches, sees Dirige on pace to challenge all-time career leader Kate Sommer (1,954). WSU will face life on the road over the next two weeks, first battling Arizona State, and Arizona this coming weekend. The Sun Devils are currently receiving votes in the latest AVCA Coaches Poll, while the Wildcats are ranked No. 21 overall. The following week the Cougs will travel to face No. 2 Stanford, and finish up the road trip against California, Sunday, October 14.